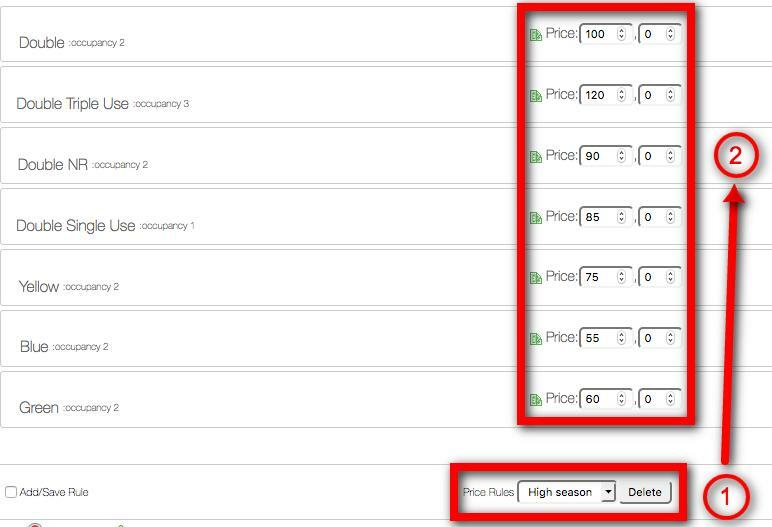 If you work with the same prices every year (high/low season), this option is made just for you. you will select it from the menu (1) so the prices will be uploaded automatically (2). Once the rate plan is saved, you will be able to upload again only prices. 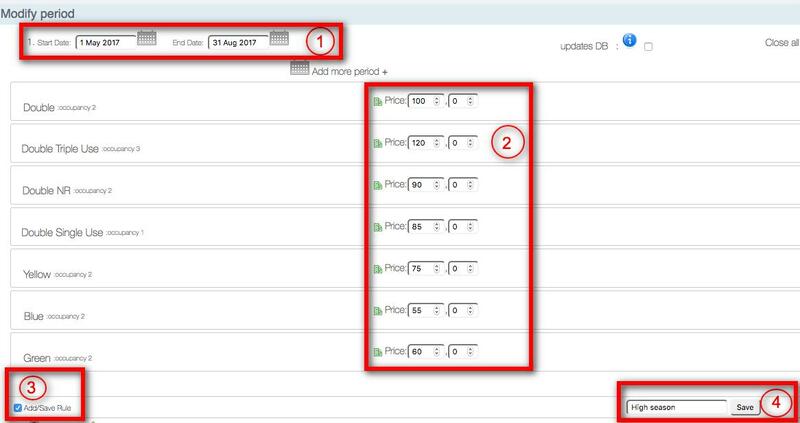 You will have to insert manually the new period and its availability.